We have some exclusive information straight from the *most guarded* event this year. So you are all asking, why there are no performance leaks. The reason is simple: the very few who already have the cards simply can’t test them — there are no drivers. The worst part is that samples won’t ship to the rest of the reviewers until early September (!). Don’t expect performance leaks by that date, even if there are any, they may not represent the full potential of new cards. 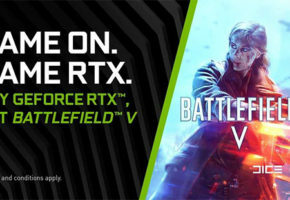 NVIDIA has set the date for the full reviews to September 14th. 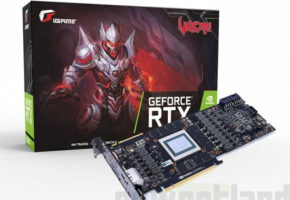 A picture taken by our spies confirms the full specs of TU102 GPU. 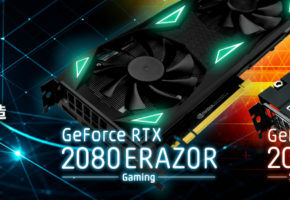 The full silicon is said to be equipped with 4608 CUDA cores, so Quadro RTX 6000 and 8000 are both using all available cores. 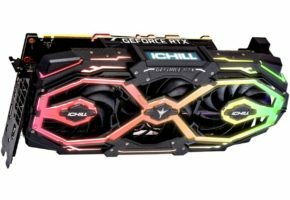 The RTX 2080 Ti is therefore not using the full chip. 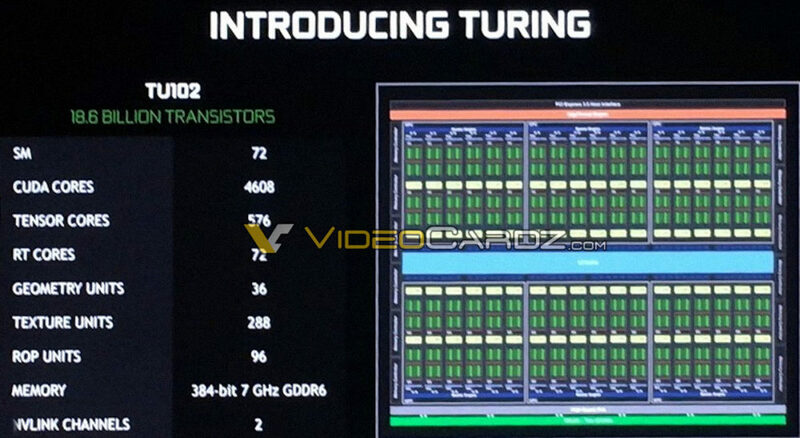 The specs we are leaking today, also reveal that Turing TU102 has 576 Tensor cores, 72 RT cores, 32 Geometry Units and 288 TMUs. The chip also features 96 Raster Units. 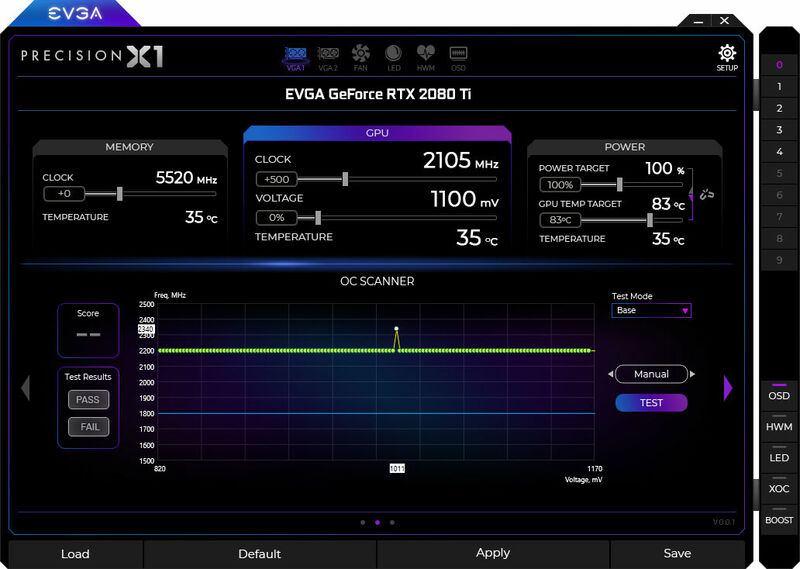 You might have seen screenshots from EVGA Precision X1 announcement. What you don’t know is that this tool is actually using something called NVIDIA Scanner (may not be the final name), a new feature for Turing. This utility will adjust the voltage and clocks for you. Think of Pascal voltage curve adjustment but automatic. 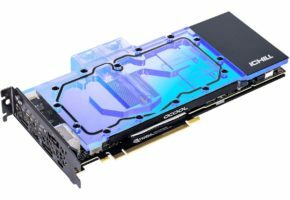 The general idea is to make overclocking dead simple. 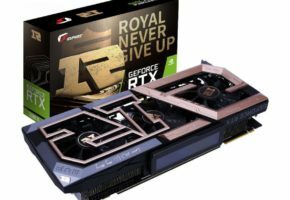 Rumor has it, this tool will be implemented into NVIDIA software (Experience?). 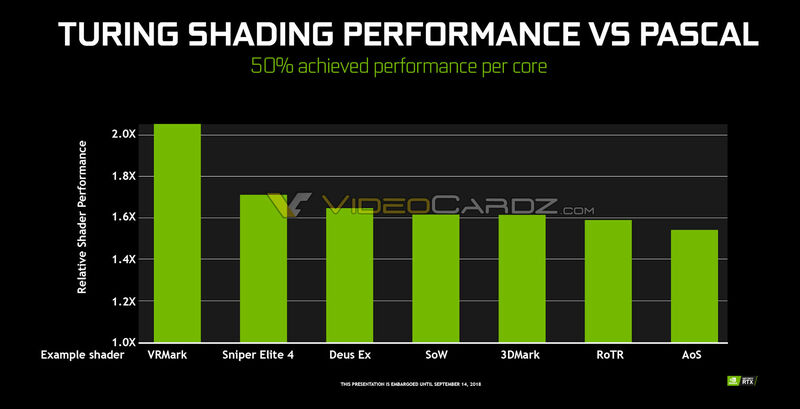 At Editors’ day, NVIDIA showcased this technology in action by using EVGA Precision X1. The fourth leak for today is showcasing Turing shading performance. This is a relative comparison versus Pascal. If this chart stands true, then each Turing core could be ~50% faster than Pascal core in applications such as 3DMark. This might be very fruitful information for further comparisons.